American Freedom Train No 1 (Reading Railroad No 2101), Baltimore & Ohio Railroad Museum, Baltimore, Maryland, August 1979. Built in 1923 by Baldwin as a 2-8-0, rebuilt by the Reading in 1945 as a 4-8-4. 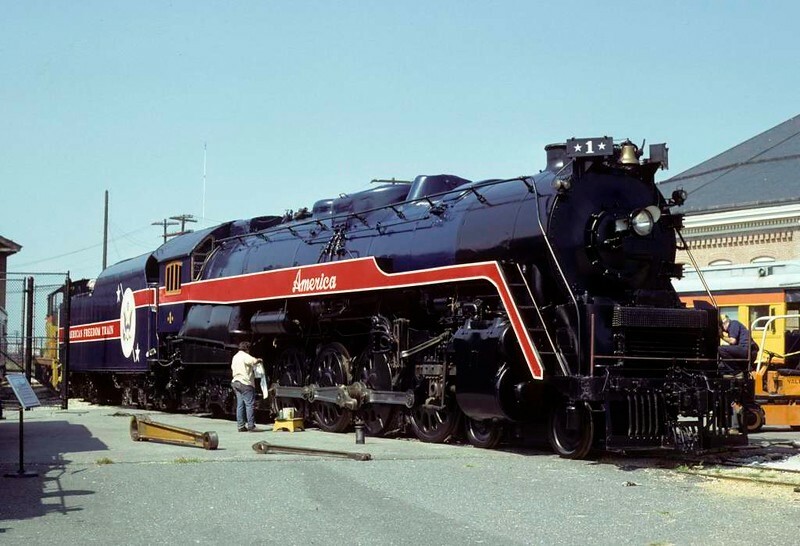 The American Freedom Train celebrated the US Bicentennial in 1976 and was hauled by No 2101. In March 1979 No 2101 was damaged by fire in Kentucky and is seen at the B & O Museum after cosmetic repairs. Photo by Les Tindall.